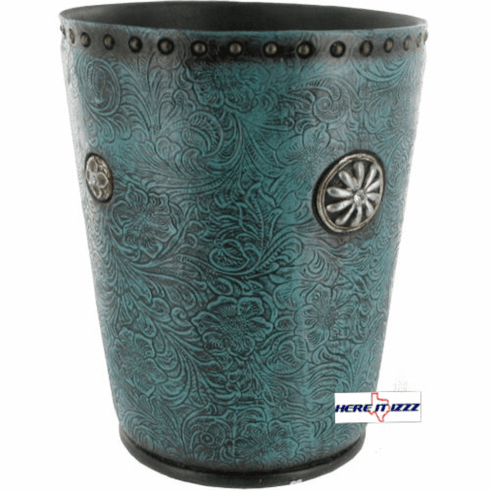 Great little trash can for the bathroom or bedroom perfect size to display in small places. Design to give the impression of an antique vintage item of significant value. Bright conchos and a tooled western style design make for a great looking item to display anywhere in your mountain cabin or Lodge.